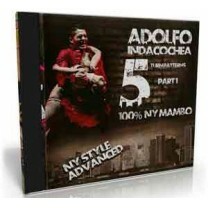 Adolfo Indacochea	There are 5 products. 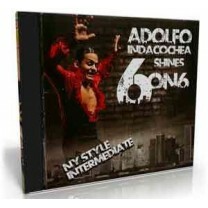 Adolfo brings all the fun to every class! 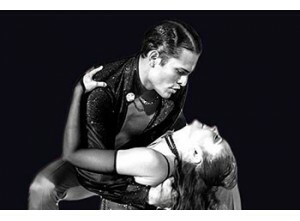 Full of energy and explosiviness, he is known as the great successor of this style, in which all its traditional elements are combined with some jazz, contemporary dance, flameco and ballroom dancing, making him unique in the world. Born and raised in Lima, Peru, Adolfo started taking salsa lessons as a hobby in 2001, when he moved to Mexico to study Engineerings. His great talent had always been evident, since the companies Salzumba or Mambos were founded. One of his mentors were the great Eddie Torres, who proposed him to become part of one of the most prestigious groups in the world. Since them, he has danced all over the world sharing the stage with outstanding personalities. Adolfo feels a profound love for mambo and he always dance with his heart, as it is shown in his choreographies, where he expresses his original combinations for every level with that innovative touch that distinguishes him. Learn how to fascinate anybody in the same way Adolfo does, with his excellent presence on the stage and his passion for mambo.